Hello hello hello! I'm back with another tutorial!! 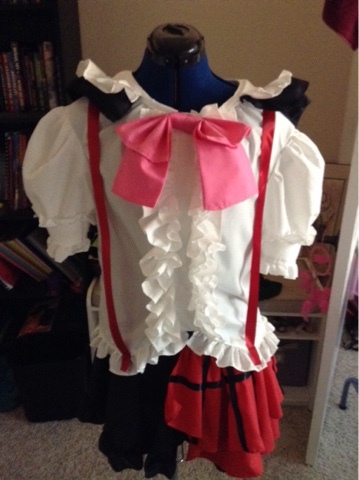 XD I have completed another piece of my Nico Yazawa cosplay! I'll warn you now, this is a super long tutorial. >~< I'll try to make my instructions as clear as possible and my pics should help with explaining some more stuff. Whelp, let's get to it! STEP 2: Gathering Materials: I'm sorry that I don't have exact measurements of everything! STEP 3: First we're going to make the very base, or the "shell", of the blouse. For this you will be using Shirt B from the Simpicity pattern listed above. Follow steps 1, 2, and 8. When you get to step 8 cut out four 3" wide strips of fabric. STEP 4: Hem the strips with a 1/8" seam and then sew a basting stitch at 5/8". These strips will be your ruffles. To gather the material, pull the top thread on the wrong side (non patterned/ugly side) of the fabric. Continue to pull this thread until the material is gathered to your satisfaction. Refer back to this step whenever you need to make ruffles. STEP 5: Now do the first part of step 9, applying the interfacing. 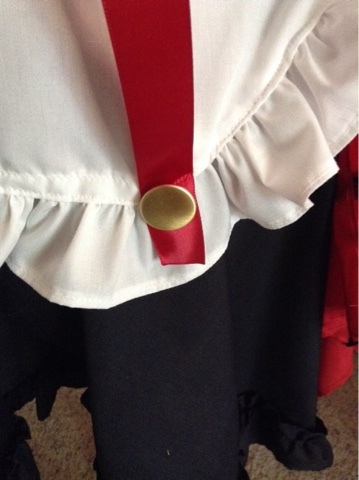 Then take your ruffles and adjust them so that they line up with the edge of sleeve band from end to end. Sew them so that right sides are together, sew a 5/8" seam. Do this with both sides (the long ones) of sleeve bands. 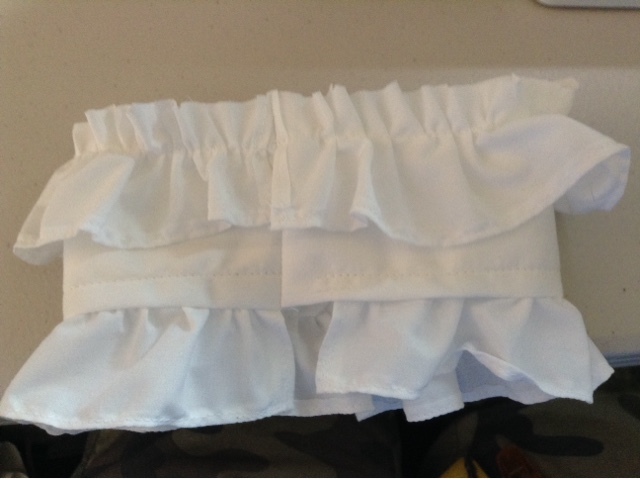 Take the side without the triangle tab and fold it under so that the ruffle is extended away from the sleeve band. Sew it down with a 5/8" seam, this will prevent the ruffles from flipping up whenever you put the shirt on and when you're wearing it. STEP 7: To sew the sleeves to the shirt follow step 11 on the pattern instructions. Do this for both sleeves. STEP 8: Cut out another strip of fabric 4" wide. This will be used to hem your shirt collar. 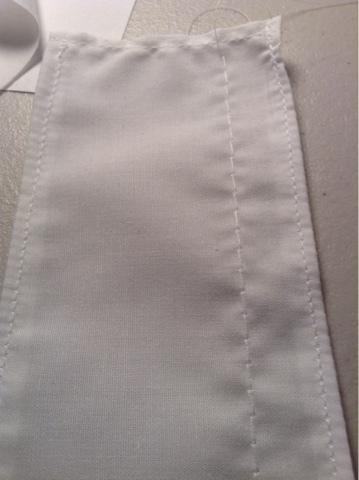 To sew, fold under once on both sides, pin in place, and sew a 1/8" seam. I ran into a problem when I finished making the base, it was very hard to put on and take off. So what I did was unpick the front seam and hemmed it. That way I could put it on and take it off with more ease. Before you hem the bottom of your shirt try it on so to see if you can put it on and take it off easily, if you can do that with the front seam sewed, then unpick it anyway, there are later steps that will be impossible with the front seam sewn. Once you've finished with that then hem the bottom of the blouse. STEP 9: When you look at the reference picture I have provided you'll see that the front of the blouse is altered so that you can see her stomach. To get this effect fold the bottom front edges so that you get a slanted edge. Pin in place and try it on to see if that is where you want it to be. Adjust until it is the way to want and pin in place. 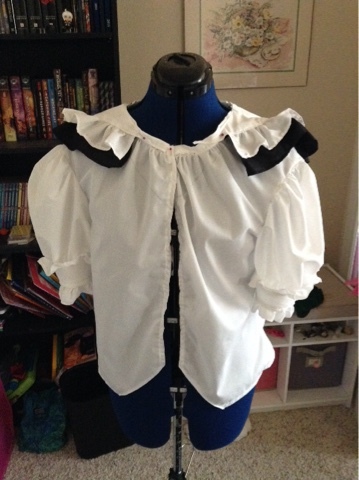 Once you've gotten your blouse to look how you want sew the slanted edge with a 5/8" seam. Cut off extra fabric from the inside. 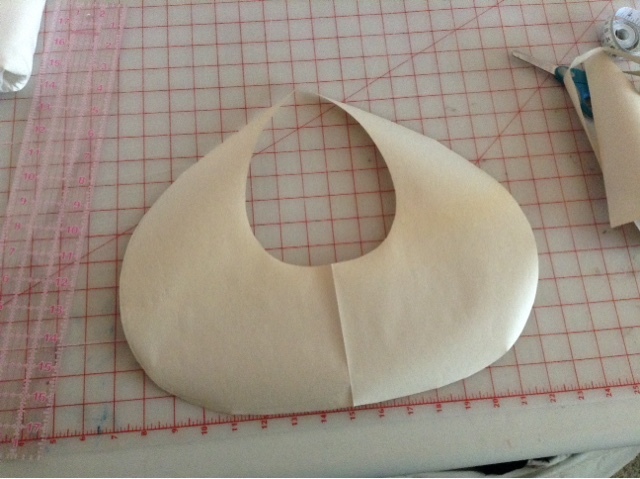 STEP 10: Onto the collar! This was a ton of guesswork. 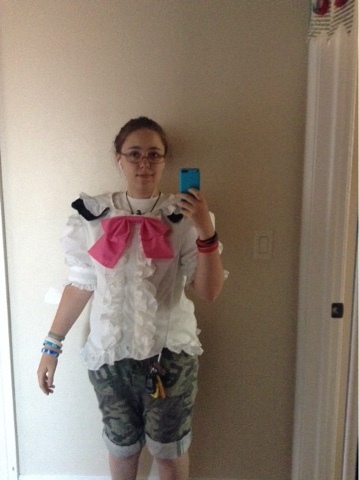 It was my second time ever making a collar/sailor fuku. I had to draft the pattern at least three times before I found one that was somewhat satisfactory. Use this tutorial for a general idea of how to make it: Sailor Fuku Tutorial When you've finally drafted a pattern that you like cut it out like how the tutorial says and then hem it. 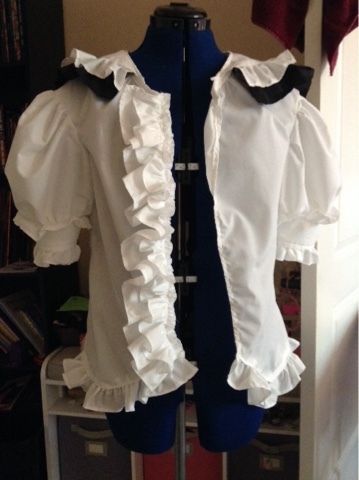 STEP 11: More ruffles! Cut out white and black fabric strips. The white is 3" wide and the black is 4". Look at step 4 for a refresher. 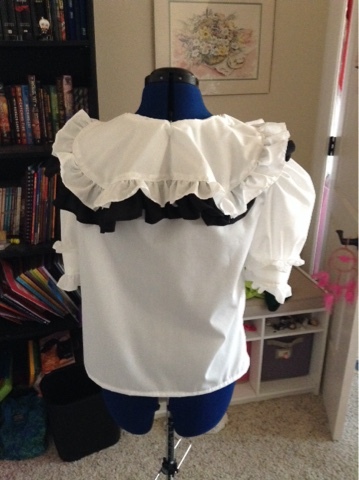 Once you have the ruffles finished line the bottoms of the ruffles and sew them together then sew the ruffles to the collar just like in the picture below. STEP 12: Now that the collar is finished sew it to your blouse. I had to sew it twice before I liked it. 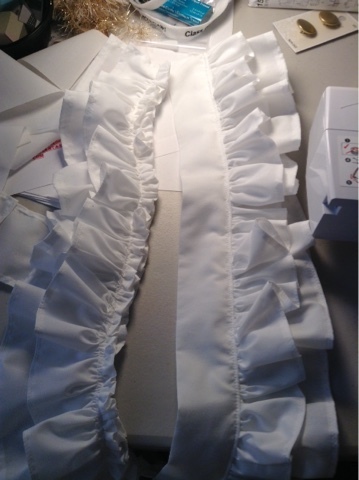 STEP 13: Now to make lots of ruffles!! You'll need to cut at least four 3" strips of fabric. These strips should be cut from your fabric so that they are the length of the fabric unfolded. 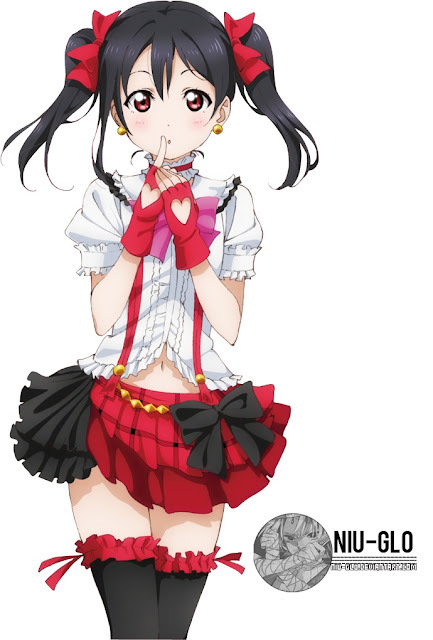 You may need to sew the strips together to make a longer strip/ruffle. 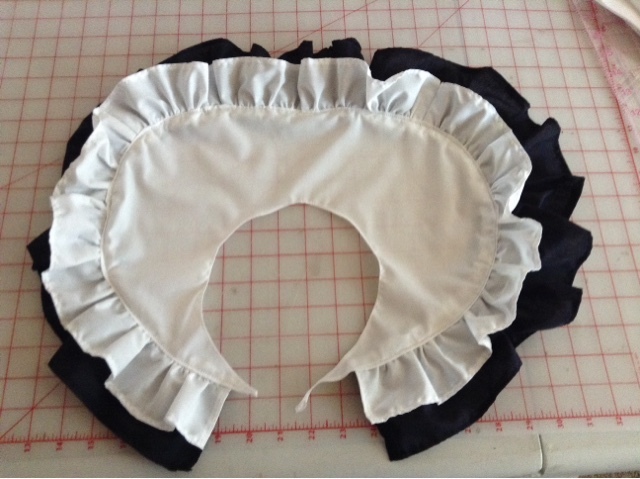 Go to step 4 if you need a refresher on ruffle making. 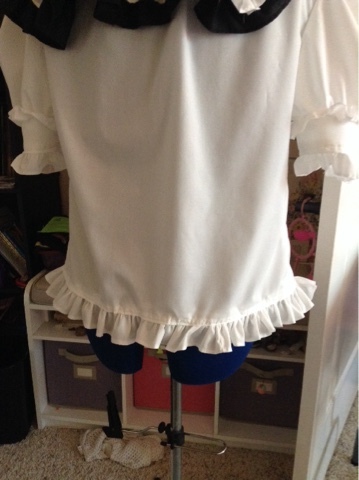 When you've finished making your ruffle, pin them to the bottom of your shirt. 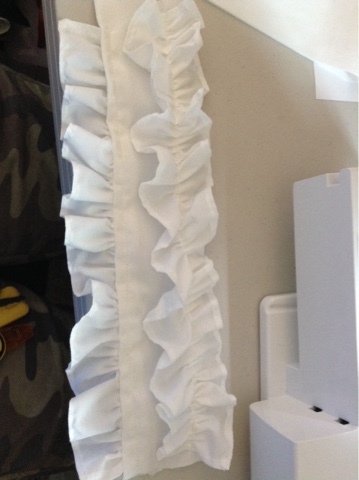 Making sure that there are enough ruffles to go around the bottom. 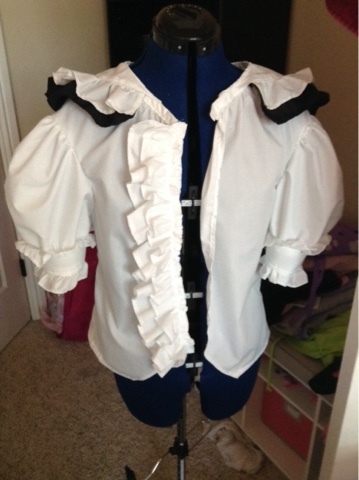 Once you have enough ruffles, sew them so that they are attached to the bottom on the inside. Line the baste stitch line up with the bottom of your blouse. STEP 14: Cut a 4" wide strip of fabric. 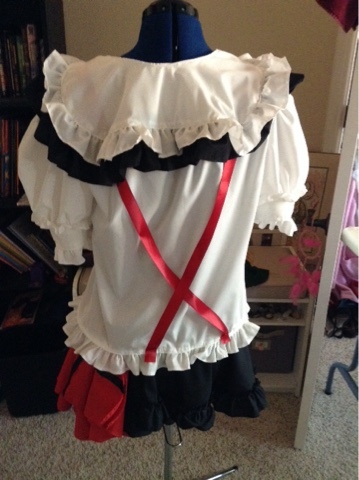 This will be for the front ruffles. Fold the strip lengthwise and sew it so that only one side is open. Turn the fabric tube inside out then fold the open end so that I when sewed it will be hemmed and then sew it. Once it's sewn press it flat. Line up the fabric strip with the edge of your blouse from the collar to where the slanted edge begins. Cut the front piece if necessary. And now make more ruffles! Two 3" and two 4" white strips for a total of four fabric strips. Commence with the operation of step 4. 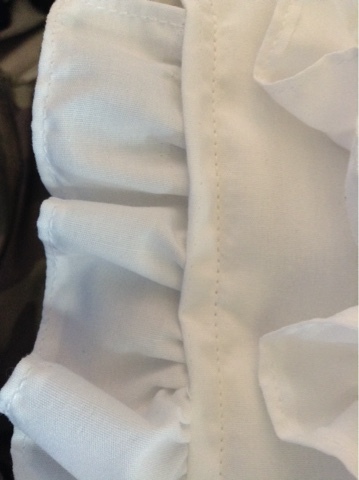 Once the material is gathered adjust the ruffles until they are the right length of the pressed fabric strip. 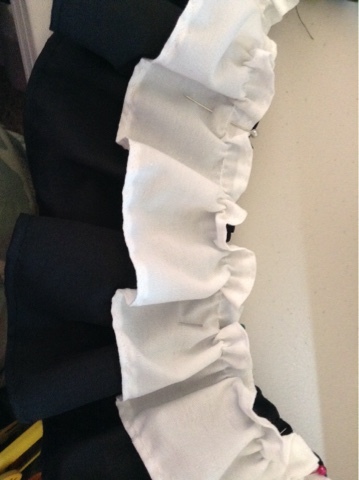 Sew the ruffles so that there is a 3" and a 4" ruffle together and then sew them. STEP 15: Sew the ruffles on the right side to the pressed fabric tube and the other set of ruffles to the left side of the blouse. 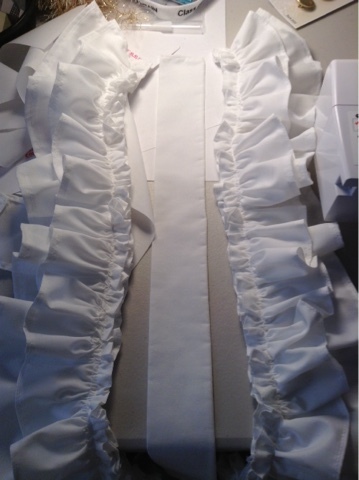 Then sew the fabric tube and ruffles to the other set of ruffles on the blouse. STEP 16: Onto the bow! 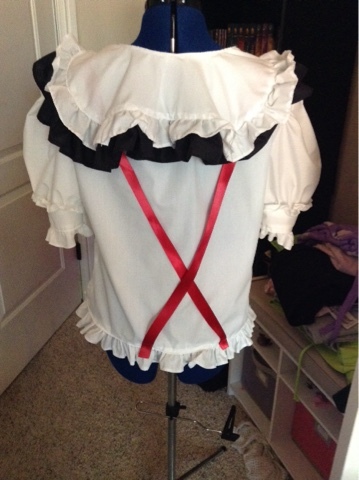 I used this tutorial to make the bow: Faux/non-working Bows Tutorial I didn't use interfacing and I really wish I would've. 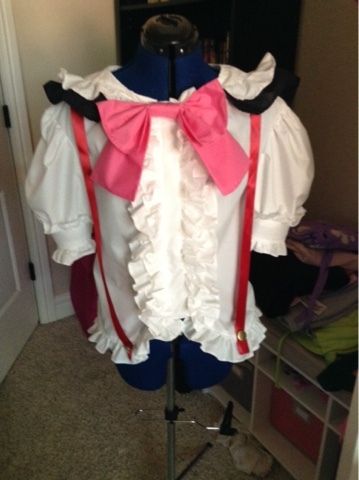 I attached the bow onto the blouse with hot glue because I really didn't want to hand sew it on. You can do it either way. STEP 17: It's probably about time to make it to that we can actually wear it without having the front open or pinned in place. To close my blouse I used Velcro. Originally I was going to use hook and eyes but that took too long and I was getting quite impatient towards the end of this project. I made a mistake which is good for you guys cause then I can tell you not to do what I did. When applying/sewing your Velcro don't have it run the whole length of the blouse, because if you do this and you bend over or raise your arms the front will bunch and bend and it'll just look all wonky. So instead cut small squares (or strips, max length 1") and place them between 2-3 1/2" apart. This will allow bendability and not make your blouse look all wonky. STEP 18: Yay! Almost done!! 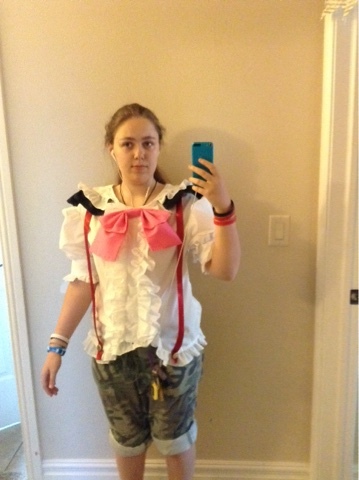 Now to sew on the suspender looking things. I used my mannequin for this part so you may need someone to help you with this part. Take your red ribbon and line it up with the end of the slanted seam on the front then over your shoulder and end on the opposite side of the blouse. Make sure that you are also lining the edge of the ribbon to the edge of the bottom ruffles, this way it will give you a bit of leeway if you don't measure it quite correctly. After you've cut the ribbon burn or singe the ends. By doing this it "seals" the ribbon and keeps it from unraveling. Then place the back on the blouse the way you had it before and pin in place. You'll want to pin/sew in three places. The front, back, and shoulder seams. Here is pics of the final finished product! !